We often think of accessibility in the context of public transportation or street signs — but what about accessibility in the laboratory? For some, performing experiments using standard laboratory equipment presents a significant challenge. 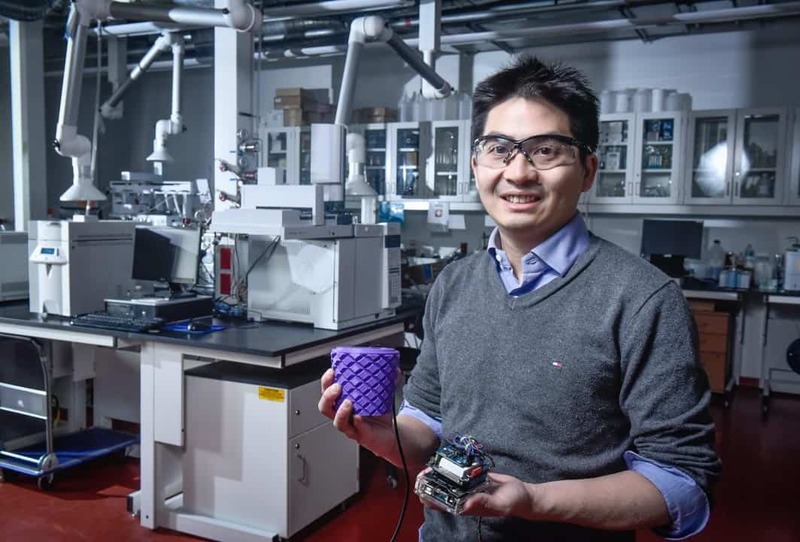 Dr. Ronald Soong, a Senior Research Associate in the Department of Physical and Environmental Sciences at UTSC, created a prototype device to make the laboratory space more accessible for students with physical disabilities. Soong’s device allows users to externally control an arm capable of transferring precise amounts of liquids. The device then reads and records changes to these liquid solutions and announces data values through its text-to-speech capability. While working as a lab coordinator and instructor, Soong saw an area where technology could greatly benefit students with accessibility needs. “With a bit of creativity, determination, and talking to the right people, I decided to take on this project and do what is right,” he said. With his experience in electronic configuration and Arduino programming, Soong originally sought to create a device that would transfer substances without human error. Later on, he searched for other laboratory equipment that could be made more accessible and affordable. To bring the project to life, Soong collaborated with Tina Doyle, the director of Accessibility Services at UTSC, and Dr. Mahadeo Sukhai, Head of the Variant Investigation Group within the Advanced Molecular Diagnostics Laboratory at the University Health Network. To reduce the cost barrier, Soong created the devices using an open-source platform — a program with a publicly available source code — which encouraged the implementation of assistive technology in a laboratory setting. “Financial barrier is a big factor for students with accessibility needs,” said Soong. “Assistive technology in the laboratory is either non-existent or highly expensive.” While similar devices with text-to-speech capabilities cost over $2,000, Soong’s device can be made for approximately $150. The faculty and administration must throw their support behind this push for a greater accessibility services agenda that has been long in the making. According to Soong, the fact that the administration accepted his idea indicates U of T’s openness to new ideas and dedication to helping students. In the future, Soong plans to build more devices that will help students with disabilities in an effort to make the undergraduate laboratories more welcoming.